Growing plants to support the work of Habitat for Humanity continues to give Hamilton woman Vera Farrant (85) great contentment and satisfaction, decades after she helped to set up the charity. According to Habitat for Humanity Central North Island general manager Nic Greene, plants for sale at the charity’s Te Rapa store have become iconic. He estimates Vera’s donated plants have helped raise “somewhere in the vicinity of $100,000” since she first began donating her time and plants back in 2000. Vera Farrant has been involved with Habitat for Humanity CNI since the beginning in 1997. She helped setting up the affiliate and then became involved as a volunteer. She even worked on the building sites to build homes for families in housing need. 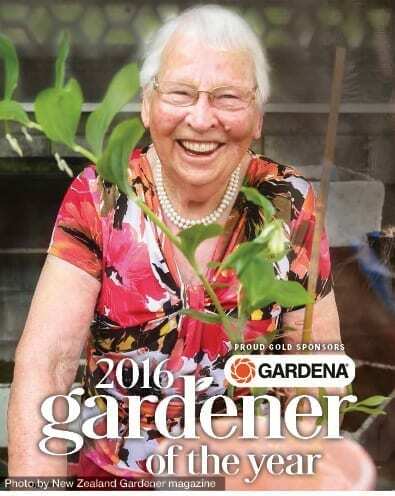 And now Vera is the overall winner of NZ Gardener’s magazine’s competition Gardena Gardener of the Year. She received $2,000 worth of Gardena products and a Trulux glasshouse which will all be put to good use by Vera.